The Western Conference playoff teams have been decided and only seeding is left to be determined. Congratulations to the San Jose Sharks for winning their first President’s Trophy in the team’s history. Also, Columbus is in the playoffs for the first time since the team’s inception into the NHL. There is also plenty of excitement in St. Louis and Chicago who are back in the playoffs for the first time since the lock-out. Along with those facts there are some exciting stories developing amongst the teams who have qualified for the playoffs. 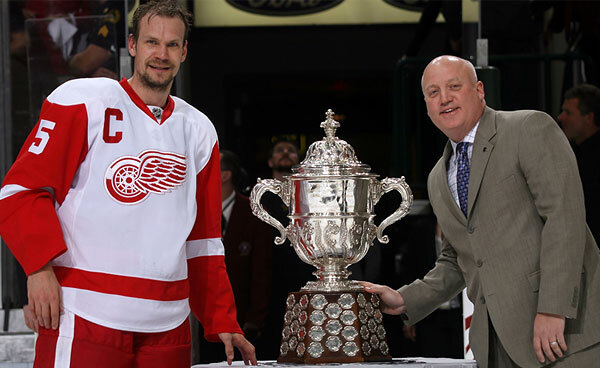 Will Detroit be able to repeat or is there goaltending finally going to get the best of them? Is Chicago’s young team ready for the spotlight on the big stage or is this going to be a quick “dry run” resulting in an early exit. How will the fans in Columbus react to the normal highs and lows of a playoff run? Will San Jose finally get over the hump and enjoy the playoff success that many people believe their team should experience? Will the Ducks of two years ago re-emerge and possibly get the puck back to Anaheim? Can Calgary live up to the trade-deadline hype that developed around their acquisition of Olli Jokinen ? There are a lot of questions to be answered and many stories to be played out. It will be a lot of fun to watch the match-ups get locked in and for the playoffs to get rolling. 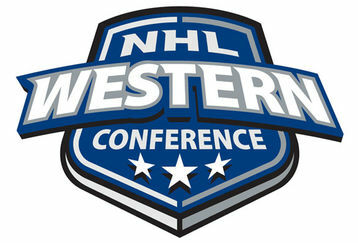 No matter who you’re rooting for and regardless of which Conference that team belongs to every Western Conference Playoff series will have incredible story lines and will be extremely exciting. Dion Phaneuf has played well but he’s making money they pay to guys who should be in Norris Trophy contention and in that respect Phaneuf has greatly underachieved. He scored his 9th goal Friday night but going into the game against the Wild he had 8 goals and 27 assists with a plus/minus of -10…that is unacceptable. Last year Phaneuf had 60 points and was a plus 12 on the year which are very good numbers for a defenseman and it is not reasonable to expect that from someone every year. However, when you’re supposed to be the leading defenseman on a team that gives up more shots than almost anybody else out there you’ve got to step up and score points of your own with regularity. 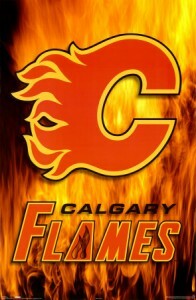 In recent years the Calgary Flames have had some pretty good teams who have not done too much in the playoffs since reaching the finals in 2004. Calgary made many offseason moves to get bigger and tougher in order to be more successful but to do that the Flames will need their top players to be at their best every shift and that includes Phaneuf. As of now Phaneuf’s personal subpar performance has been good enough to put the Flames in prime playoff position but if his play stays at this level against the likes of Chicago, Detroit, or San Jose the Flames will find themselves making another early round exit. Allen Iverson heads to the Motor City – Will Success Ensue? To think that Allen Iverson has not been thrown into a better situation by being traded from the Denver Nuggets to the Detroit Pistons is a preposterous line of thought. He’ll be leaving a team that has been knocked out of the 1st round of the playoffs the last three seasons in only five games in each one of those series. 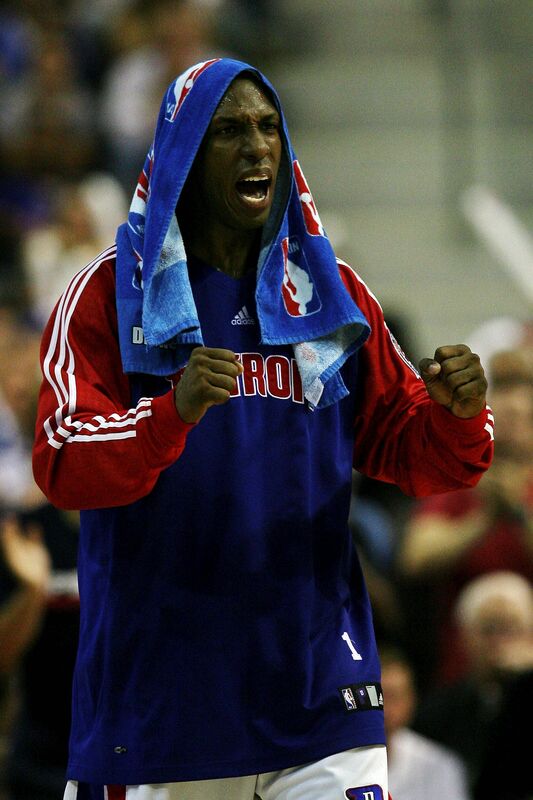 Although the Nuggets have a proven leader in Chauncey Billups, success may not come as easy playing the west as opposed to the east for this former Finals MVP. Iverson now joins the cream of the crop in the East. And even if the Pistons would be hard-pressed to make it to at least the Eastern Conference Finals for four straight years in the West as they have in the East, the fact remains that they are part of the elite in their own conference. Two of the key factors in this trade are the timing and the cap space that has been cleared up.Iverson and the rest of the Pistons will now have over 70 games to gel before the playoffs, and with the 20 million plus dollars in spending room that General Manager Joe Dumars has created, the Pistons can afford to make some more moves before this year’s trade deadline and/or especially before the start of next season to make Iverson’s new team even stronger.As for the concerns that the loss in the trade for the Pistons of Chauncey Billups as a true point guard and floor general, don’t count out Allen Iverson’s potential in that same role. GM Joe Dumars looks to have made good on this deal in his goal to get the Pistons their second NBA Championship under his direction. Over the last five seasons he has averaged 7.3 assists per game, while Billups has averaged 6.8. If Iverson can cut down on his 3.9 turnovers per game as opposed to Billups 2.2 through that same five year span, then his 29 points per game against Billups’ hardly comparable 17 per game, also in the past five years can do wonders. Add that to his assists per game and much more playoff savvy crew than the one in Denver, and the Pistons are a clear cut prime contender to overtake the Boston Celtics as Eastern Conference Champions, and perhaps even attain home court advantage throughout the East if not the entire playoffs.